Thomas started with Internet Marketing in 1997 with mixed success, and continued to try different things, Affiliate Marketing, Webinar Marketing and REI. In 2013 Thomas learnt of Teespring and started with Facebook advertising, and this is where things started to take off. In April of 2015 Thomas opened his own Shopify stores and since then he hasn’t looked back. 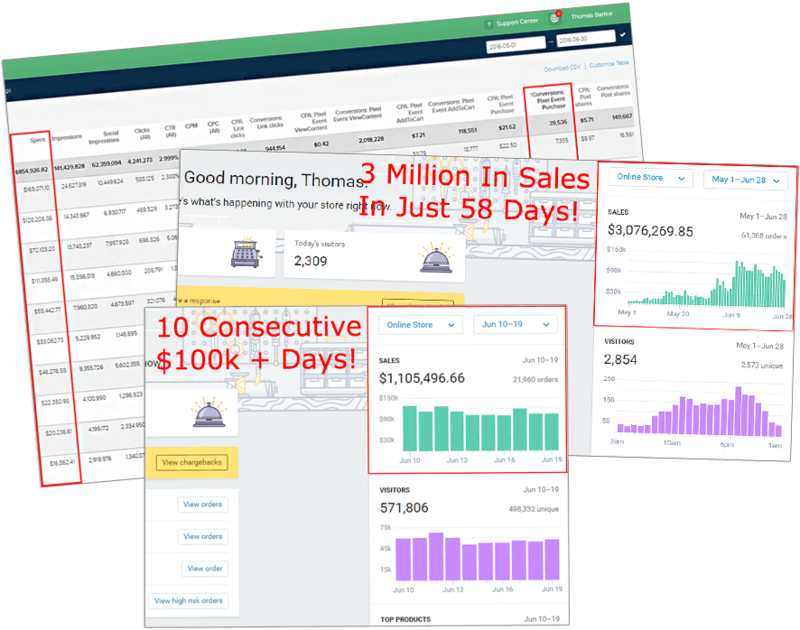 In just over 14 months Thomas has generated over $7M in revenue. Thomas has a special talent when it comes to Facebook advertising. He has perfected how to do rapid optimization and scaling using Facebook, Instagram, and Google Adwords traffic. Thomas is also the creator of Trackify, and has earned the nickname the ‘Pixel Whisperer’. John started his ecommerce career back in 1994. Back then the online world was a little different. In 1999, John was involved with building one of the first online casinos and this is when John first discovered how powerful a business tool the internet would become. It wasn’t until 2004 that John left his consultancy career and started his own ecommerce store. Ever since then, and many stores and niches later, John continues to run traffic, build funnels and convert visitors into paying customers. John consults with many top brands and also coaches students to leverage the power of the internet and how to start and grow multi 6 to 7 figure businesses online.